Today was a fun letter day for me. I received a wonderful swap in the mail from my friend Julia. It was an envelope full of super cute kawaii letter sets, mostly Sanrio. It certainly made me smile. Thanks so much Julia! 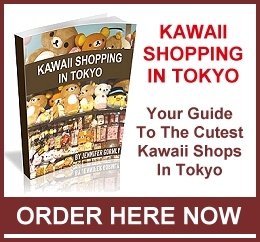 There are lots of different Sanrio characters in with the mix – Hello Kitty, My Melody, Pochacco, KeroKeroKeroppi, Winki Pinki, Kuromi, Usahana and so many more. It was impossible to fit them all in a single photo (I couldn’t even fit the envelopes in the picture) so I thought I would share a couple of my favourite sets with you. The first is a Hello Kitty set. It is very Japanese in style (which I love), plus it is a die-cut set. I always love unusually shaped letter sets. 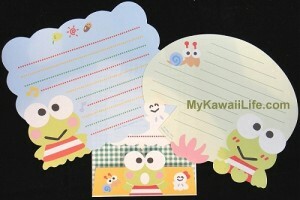 The second is a Keroppi letter set. Again, it is a die-cut set. I particularly like the pond leaf shaped sheet. The third set features Winki Pinki, one of Sanrio’s older cat characters. Sadly, they don’t seem to have made many things featuring this super cute cat, so I am very happy to be able to add this letter set to my collection. It is quite unusual too, as the writing paper is actually made of plastic. 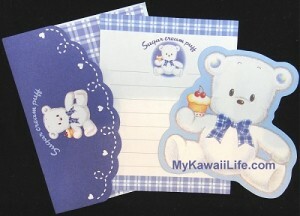 Finally, we come to this adorable mini letter set featuring Sugar Cream Puff. 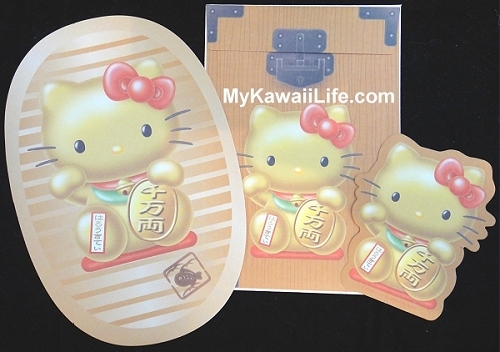 This is another rare Sanrio character that was released in the 90s. I used to love this bear but it has always been difficult to find things featuring this bear, even when it was new. This set is extra special as it was included as a gift from Julia. Thanks again for swapping with me Julia…I hope you like the letter sets (especially the Sanrio letter sets) I sent you too. 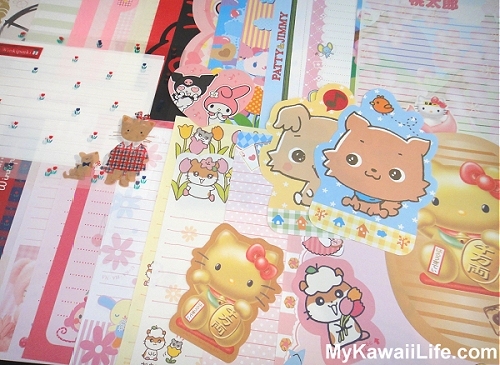 This entry was posted in Hello Kitty, Letter Sets and tagged Hello Kitty, Keroppi, Letter Set, Sanrio, Sugar Cream Puff, Swaps, Winki Pinki. Bookmark the permalink.